At our beach, we have chaise loungers, drink tables and colorful umbrellas, playground equipment, and free waterfront amenities. ​Please click on the images below for individual cabin details, including new views and upstairs images. Cabin 1: Newly remodeled in 2013. Beachfront large 2-story with 3 bedrooms (3 queens, 1 double futon, 1 queen sofa sleeper), 2 full baths, dishwasher, knotty pine interior, upper level with TV room/wet bar & cantilever deck. 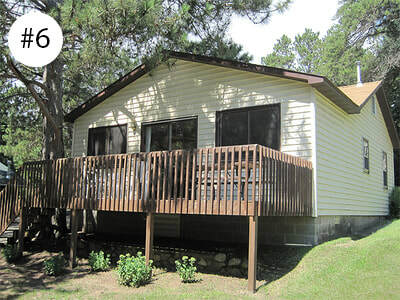 Cabin 2: Beachfront, 3 bedroom (1 queen, 2 doubles, 1 full sofa sleeper), 1 bath, knotty pine interior. New kitchen, new windows & built-ins, and expanded bathroom! 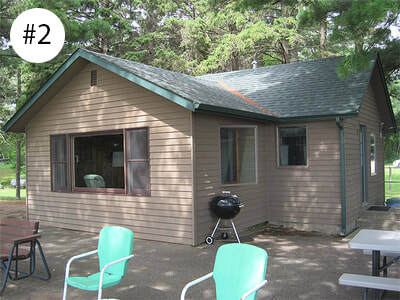 Cabin 3: Lake view, large 3 bedroom (1 queen, 3 doubles, 1 full sofa sleeper), 1 bath, cement patio, knotty pine interior. 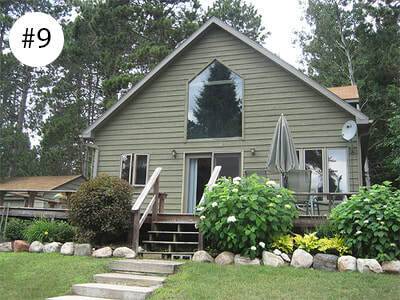 Cabin 4: Beachfront, 2 bedrooms, (1 queen, 2 doubles, 1 queen sofa sleeper), 1 bath, knotty pine interior. 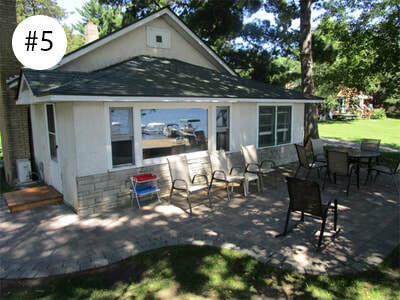 Cabin 5: Beachfront, large 2 bedroom (2 queens, 1 double, 1 queen sofa sleepers), 1 bath, brick fireplace, new kitchen, lakefront paver patio. 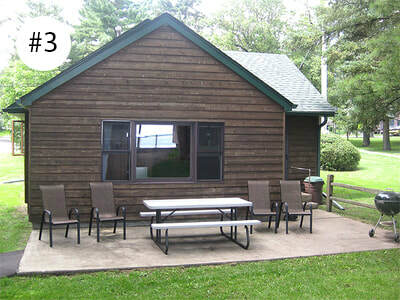 Cabin 6: Large 2 bedroom (2 queens, 1 double, 1 queen sofa sleeper), 1 bath, knotty pine interior. 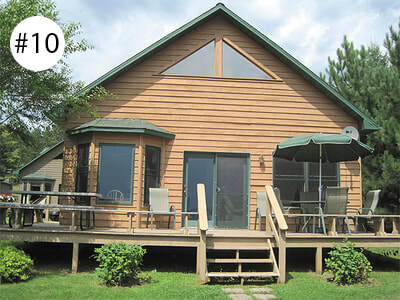 Cabin 7: Lake view, 2 bedrooms, (1 queen, 2 doubles, 1 queen sofa sleeper), 1 bath, knotty cedar interior, deck. 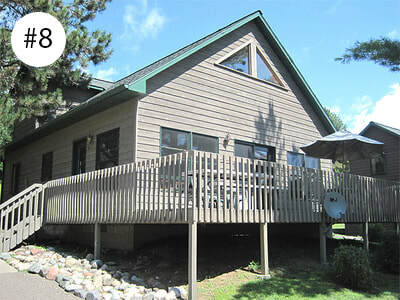 Cabin 8: Lake view, large 1 ½ story loft with 3 bedrooms (2 queen, 3 doubles, 1 twin, 1 queen sleeper sofa), 2 baths, dishwasher, stone fireplace, knotty pine interior, vaulted ceiling with fans, large deck. 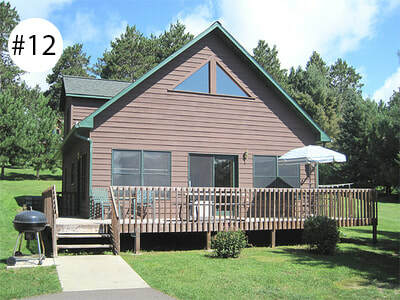 Cabin 9: Lake view, large 1 ½ story loft with 3 bedrooms (3 queens, 1 double, 1 queen sofa sleeper), 2 baths, dishwasher, stone fireplace, knotty pine interior, vaulted ceiling with fans, washer & dryer, large deck, private fire pit. Cabin 10: Beachfront, large 1 ½ story loft with 3 bedrooms (3 queen, 1 double, 1 queen sofa sleeper), 2 baths, dishwasher, stone fireplace, knotty pine interior, vaulted ceiling with fans, large deck. 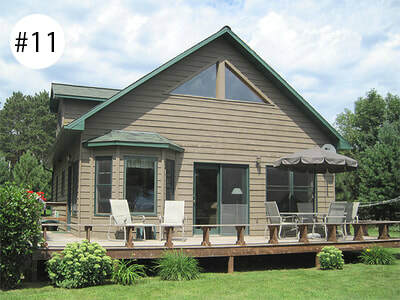 Cabin 11: Lake front, large 1 ½ story loft with 3 bedrooms (3 queens, 1 double, 1 queen sofa sleeper), 2 baths, dishwasher, stone fireplace, knotty pine interior, vaulted ceiling with fans, large deck. 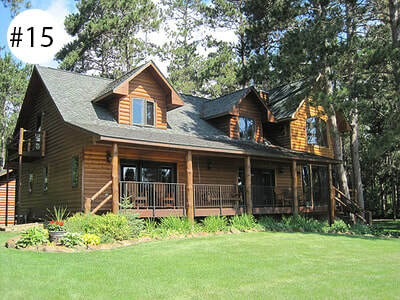 Cabin 12: Lake view, large 1 ½ story loft with 4 bedrooms (3 queens, 2 doubles, 1 queen sofa sleeper), 2 baths, dishwasher, stone fireplace, knotty pine interior, vaulted ceiling with fans, large deck. 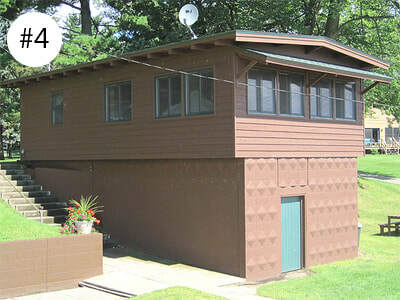 Lake House Cabin 13: Lake view, large 1700 sq. ft. 6 bedroom (2 queens, 8 doubles), 3 baths, large full country kitchen, dishwasher, eating bar, lg. living rm. 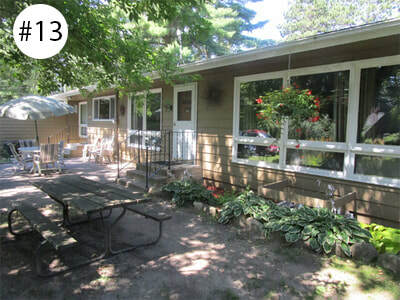 & dining rm., hardwood maple floors, kitchen & dining rms., stone gas fireplace, large patio. 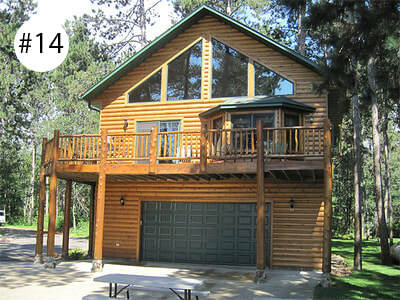 Sheena's Loft Cabin 14: Secluded 1 ½ story loft with 3 bedrooms (4 queens, 3 twins), 2 full baths, large full kitchen, dishwasher, eating bar, living room with gas fireplace, washer/dryer, deck with scenic lake view, and game room with kitchenette/bar. 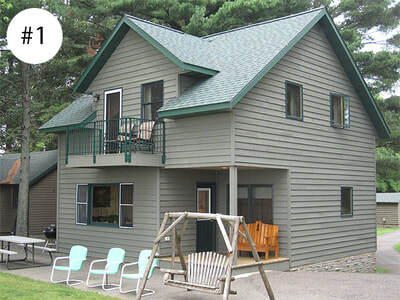 Reunion House Cabin 15: Secluded Beautiful Lakehome 4 bdrm (4 queens, 1 double futon, 3 twins, 2 queen sofa sleepers), 4 bath, sleeps 17. Two family rooms, stone fireplace, hardwood floors, large country kitchen, wrap-around eating bar, granite countertops, dishwasher, spacious dining room, full laundry room, large covered porch/deck, bricked BBQ/bonfire area. 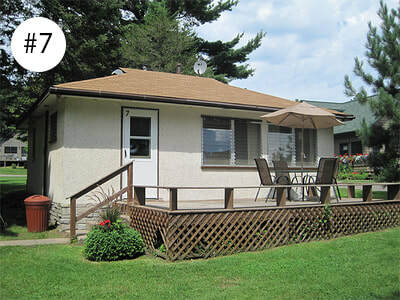 This property has a large manicured yard, it's own driveway with a 3 stall garage.